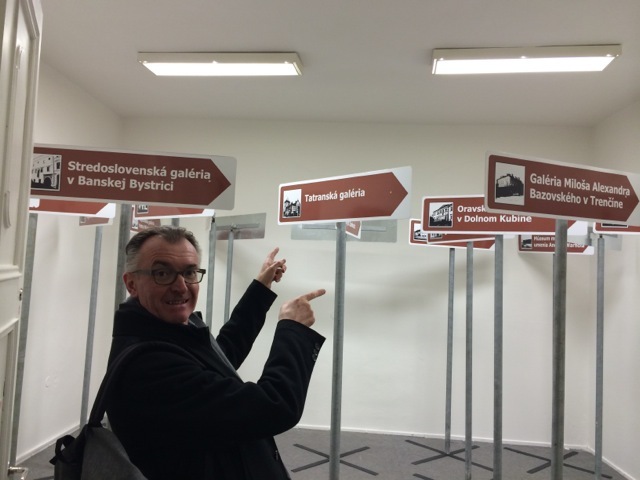 Hans from the EEC blog team has visited the capital of Slovakia for the second time together with Kristina Kulakova from Viennafair blog: The new contemporary who wanted to start to experience the Bratislava art scene and meet people from there. 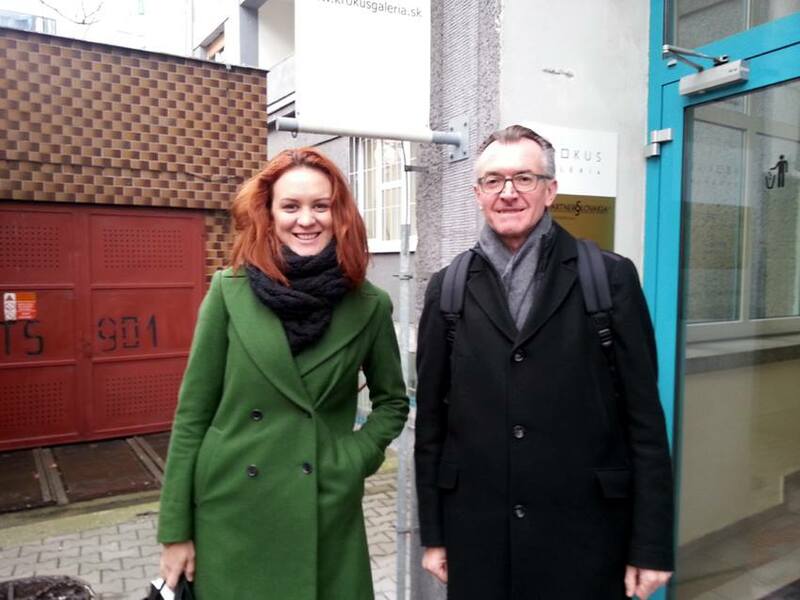 We have first met Katarina Müllerová, with whom we had a discussion about our EEC project and the study for Slovakia. She also added great impressions about the actual state of the local art scene. Afterwards we have visited Kunsthalle / Dum umenia where we have met the director of the insittute: Juraj Carny. We heard about the plans for the start of the institution and the first exhibitions, great! 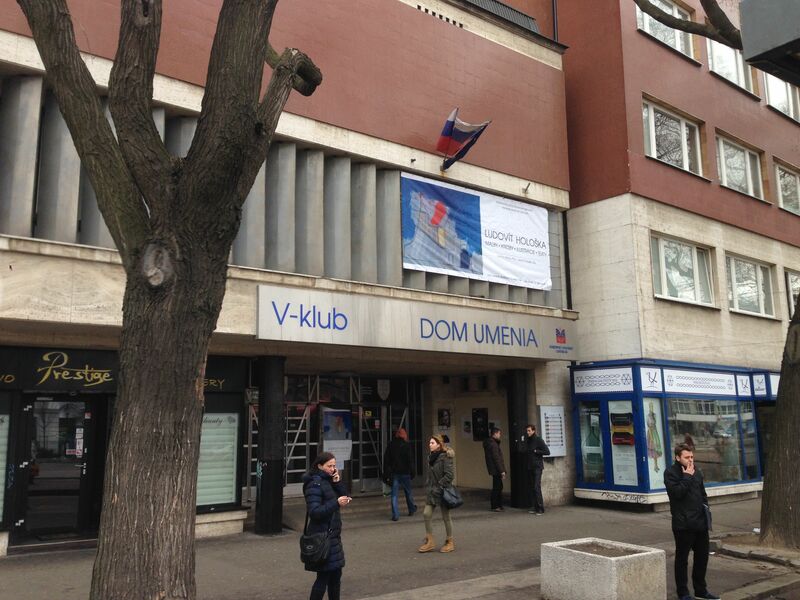 This insitutte will be important and influential for the Slovakian art scene. Later on we also discussed Viennafair and this year´s BLAF Bratislava Art Festival, which might take place at the end of September / beginning of October. Knoll Gallery is thinking about organizing an Art tour parallel to this event – it will be announced later. 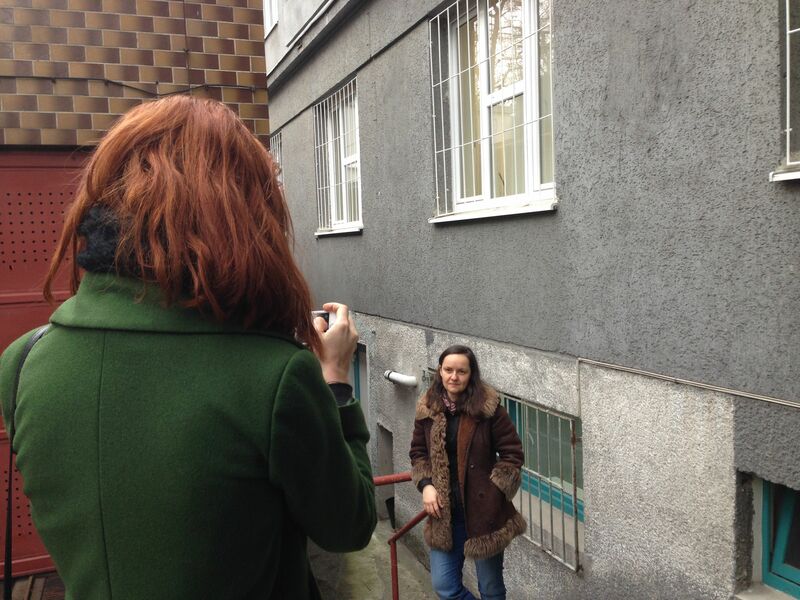 Around noon we had a lunch with the wonderful director of Krokus Gallery – Gabriela Kisová at restaurant Prasná Basta. Also here the BLAF was a topic, as well as Viennafair and our study about collecting in Slovakia in 20th century. Ms. Kisová is very much concerned with the development of the art scene in Bratislava, she is trying to support as much as possible. At the end of our lunch we agreed that an opening to international visitors also here will be fruitful. In the second part of our visit we had a meeting with Roman Fecik in his gallery, just a few steps from the restaurant. The gallery has a fine exhibition of Igor Kalný. Kalný committed suicide in his early years, in this exhibition for me the body-drawings were very touching. Roman Fecik, who starts the informations on the website about his gallery with “Art for Collectors” is very much interested in our research project. He has done several projects about this topic already. For example he has supported the colloquium “Artwork through the Market” in December 2003, as well as the publication connected to this – featuring international authors like Peter Burke, Oskar Bätschmann, Eva Forgács and Gábor Ébli, the author of our research about Hungary in EEC. Mr. Fecik comes from the banking sector and supports the development of the art and its market patiently and with great enthusiasm. Finally we have met with Richard Gregor at Gorilla Café, a café connected to a bookshop close to Kunsthalle, on Námestie SNP 30. Also with him we spoke about our research and Kristina and Richard spoke about Viennafair and its blog, which is maintained by Kristina. 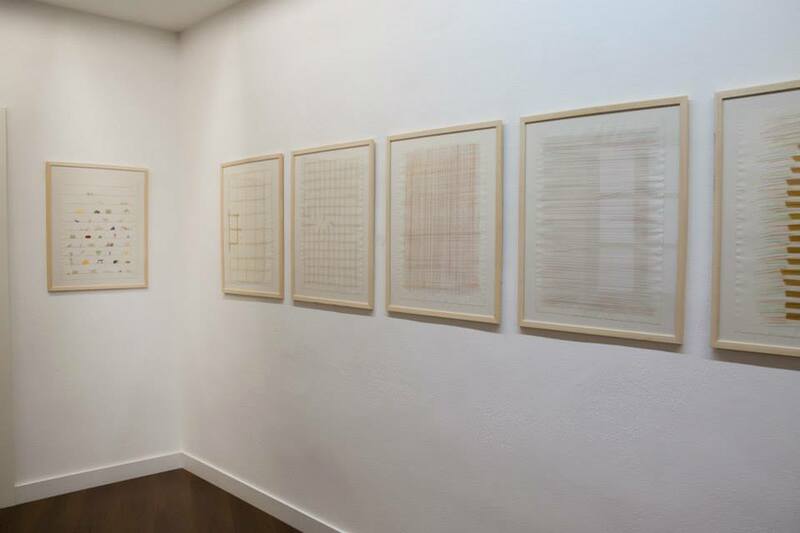 Before our return to Vienna, Kristina and I have been visiting the exhibition Contextual Art in the Cyprián Majernik Gallery, curated by Nina Vrbanová. It shows “art in the context of art throughout the years 1991 – 2011”. The exhibition featured many good artists, it was rather informative and gave quite some overview about the art scene since the end of socialism. What I really liked in the exhibition that it involved actually a lot of humor in many of the projects too. It is definitely a must see. We find it also really good that the gallery have an intense social media appearance. Therefore everyone could have a nice insight of the exhibition on the facebook page of the gallery as well. 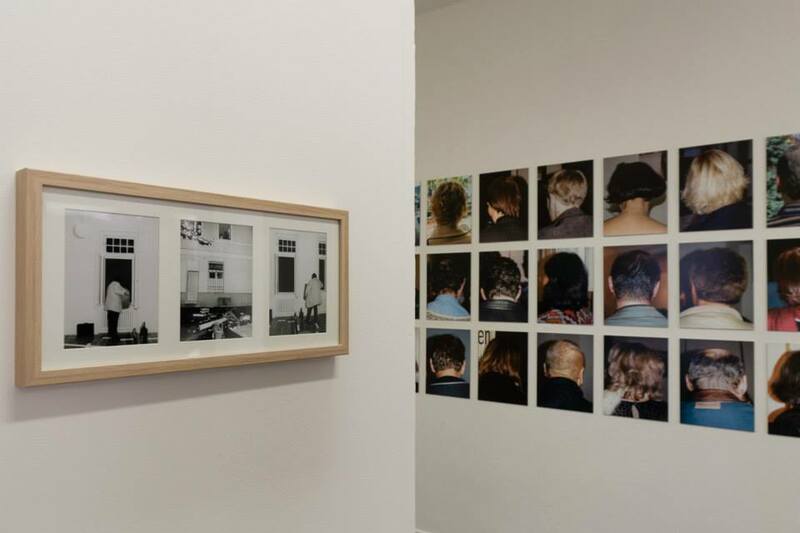 Installation by Marek Galbavy: “Slovak Galleries Orientation Plan” – Installation view with Hans Knoll in the exhibition Contextual Art in Galéria Cyprián Majernik in Bratislava. On our way back to Vienna Kristina was looking forward to see the opening of Sotschi Olympic games on TV. 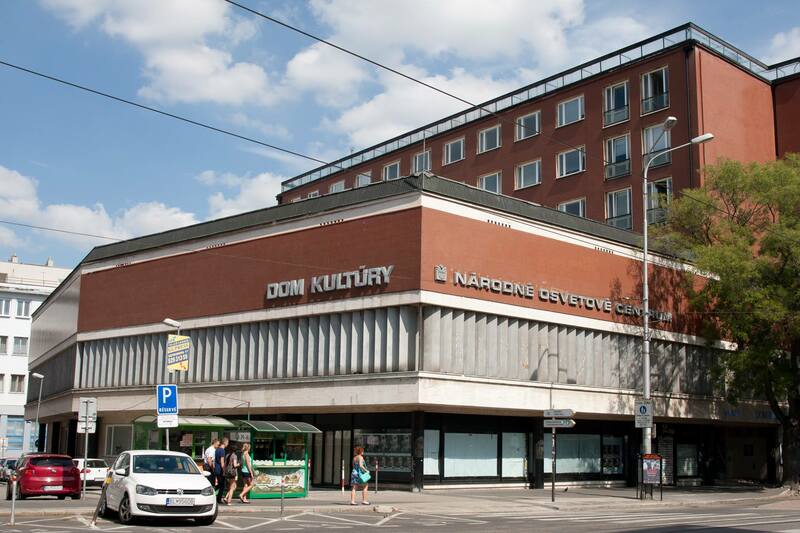 We have considered this visit a really fruitful visit and we could say that we have a slight overview on a slice of the contemporary art scene of Bratislava. This entry was posted in Bratislava, Project EEC, Research, Slovakia, The new contemporary, Travelling, Viennafair by Editor. Bookmark the permalink. some general things, The site style is perfect, the articles is really great : D.
Impressive! I’m amazed at how properly you use words to get your point across. I would be interested in reading far more of your function.